This War Avatar is also avaliable! It will retire after this event.. The Lottery has been drawn for this week. dooge is the winner of the 775,400MP Jackpot with the winning numbers of 1, 13, 25, 3, 23 and 12! Congratulations! Last Week's Raffle has now ended. kayliea is the winner of the Red DNA and 100,000MP prize with the winning raffle ticket number 23016! Congratulations! Make sure you buy your tickets for today's raffle - only 10MP per ticket! We will be retiring a lot of Account Upgrade items next week. You will not longer be able to purchase the July and August upgrades, the Ball Dress Female Costume, Tuxedo Male Costume and Christmas Treasure Map 6. This will be one the last chances for you to get a Quell, the Whirlpool Treasure map or the Certficates to rename your pet! Can you find the Superhero Avatar? This Sponge Equilor and this Space Zetlian are now avaliable. These items are now restocking at the Candy Shop. We had another important upgrade to our site today, with all of our application servers receiving a lot of work. We have improved the loading times of the site by over 2,000% by optimising our php servers to full work how we need them to. We still have a lot more work happening on the site, which you will really start to notice happening soon. We are upgrading the RAM on all of our servers with 1GB or less of RAM. We have spent over $12,000 on RAM upgrades this week to make sure each server will, from Friday, have 4GB of RAM to work with. This will also help the site run a lot better, allowing us to cache a lot more data. Then from next week, all of our flash games are moving to their own network so that they can be optimised fully to load a lot quicker and to remove their lagging of our php servers. Thank you for your patience for the last few weeks, and for all of those who have purchased account upgrades, as they have helped to fund a lot of this. SLATER PARK has received a much needed makeover. As with the server upgrades around the site, we treated Laimay to a new $250 drawing tablet for her artwork on the site. Shes had the same tablet for 3 years, since we started the site and really needed one that still worked! This map is the first piece of artwork shes used it for..
We can now officially tell you the Maintenance is now complete. As far as we know, the sites upgrade was a success and we are now finished. There is still a small possibility of some more problems, but these are unlikely. We would like to thank you all for your patience over the past two weeks, you should start to see the benefits of the upgrade from now on. The Election results are in. The Snobbish Party has won , receiving 76% of the vote. Already in power, they have decided that they will declare war on Queen Eleka. This means that the war will start within the next couple of days! Keep checking the news for more updates. The Lottery has been drawn for this week. jackbandit is the winner of the 289,300MP Jackpot with the winning numbers of 2, 12, 20, 22, 19 and 9! Congratulations! Last Week's Raffle has now ended. theoriginalpeanut is the winner of the Red DNA and 100,000MP prize with the winning raffle ticket number 20173! Congratulations! Make sure you buy your tickets for today's raffle - only 10MP per ticket! The site's Maintenance is almost complete. We are not expecting any more major problems over the next few days and if the site manages to stay up all weekend, it will mean that the maintenance is complete. We would like to thank you for your patience the past few weeks. The plot/war will continue once the maintenance is completed. These two pets can now wear the Water Costume. To improve the efficency and security of Quests, there is now a six digit code before completing them. There are some new Addow Photos avaliable to collect. We have given Dukka Town a total revamp. 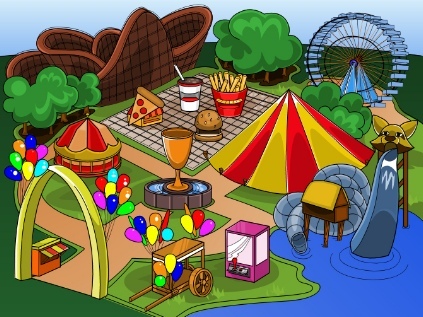 This map hasn't ever been changed since it was first released a really long time ago and really needed to be redrawn. We hope you like the new map, it gives us a lot more room for new places! There is a new Millionaire Gonk and Feliz! New Gummy Xoi & Renat items are restocking in the candy store! Thank you all for your patience while we were performing important Maintenance. We experienced a lot of problems when our new system went into production and it has taken us all weekend to fix. We are not certain that all problems are fixed, but there is a team of experts all working with me on the work and at least one of us is avaliable 24/7 so any new problems that do appear should be fixed as quickly as we can. It will most likely take until the end of the week for us to get everything finished. This Huthiq likes it's gothic new look! We have hidden a Mommi Avatar for you to find and also released the default Lati avatar. The Lottery has been drawn for this week. olivia223 is the winner of the 390,000MP Jackpot with the winning numbers of 5, 2, 7, 6, 9 and 8! Congratulations! Last Week's Raffle has now ended. auntieappletard is the winner of the Red DNA and 100,000MP prize with the winning raffle ticket number 23544! Congratulations! Make sure you buy your tickets for today's raffle - only 10MP per ticket! The mutant, zombie and prison versions of the Kidlet have been released. This is just a quick update you let you know about Maintenance we are currently having. For the past week, our new servers were being set up and installed. It will be another 1-3 days and then the site will have up to 24 hours of downtime. It could just be 4-6 hours, but we are allowing up to 24 hours for the site to be closed. This is to ensure it is tested and working properly. This maintenance will be very successful for us to put an end to the lag we have been experiencing recently and will allow for the war to start right away. It was delayed by two weeks because we were worried that the site would be totally unplayable with the large numbers of people that will be taking part. We will give you more news about the maintenance as soon as we have any. The mutant, zombie and prison Lati are also now avaliable. The Lottery has been drawn for this week. yingwangx24 is the winner of the 487,400MP Jackpot with the winning numbers of 6, 7, 2, 13, 20 and 17! Congratulations! Last Week's Raffle has now ended. LamyLove is the winner of the Red DNA and 100,000MP prize with the winning raffle ticket number 12329! Congratulations! Make sure you buy your tickets for today's raffle - only 10MP per ticket! There is a new Mini Pet, theValentine and a new Valentines Day DVD, a Love Music CD and a Valentine Book to entertain your pets and give them sweet dreams. There are new male and female Love clothes for you to dress up your character in! The Lottery has been drawn for this week. daltonlee is the winner of the 476,900MP Jackpot with the winning numbers of 10, 4, 7, 22, 11 and 17! Congratulations! Last Week's Raffle has now ended. chocolatelover6 is the winner of the Red DNA and 100,000MP prize with the winning raffle ticket number 12880! Congratulations! Make sure you buy your tickets for today's raffle - only 10MP per ticket! This is the new limited edition pet, which will be avaliable within the next few days! The Lati is the 39th marapet species to be discovered! There is a new minipet, named Jacko which is now restocking. We have a brand new Flash Game for you to play. Phanty Quest has been added to the Strategy category of the games section. We are also going through a major recode on all of our games fixing all of the known bugs on them and increasing the loading times for all games. We will let you know as soon as its been completed. The Kidlet is now avaliable in more colours! We have a brand new, non-limited edition pet for you to create. The Kidlet is the 38th marapet species to be discovered! You can now create a new Kidlet in blue, red, green or yellow. The Frozen Foods shop is now stocking lots of new frozen foods. The old frozen food has also been redrawn, so they all match the same style now! We have a brand new Flash Game for you to play. Rofling Stamper has been added to the Arcade category of the games section. This is how the new Fairy Addow looks.. The Lottery has been drawn for this week. animallover15 is the winner of the 522,000MP Jackpot with the winning numbers of 2, 15, 4, 6, 8 and 25! Congratulations! Last Week's Raffle has now ended. GryphonMayfair is the winner of the Red DNA and 100,000MP prize with the winning raffle ticket number 33562! Congratulations! Make sure you buy your tickets for today's raffle - only 10MP per ticket! There is a new Eleka Costume and four pets are already avaliable in this colour! There are also male and female War Clothes for you to dress up your character in! As the war is on its way, there is a new Eleka Wand and Shield..
A new stamp and book are also part of the upgrade. The most requested thing of the whole of 2006 has just been released! The Female Shoes has just opened in Puchalla Village. There are currently 13 pairs of shoes avaliable and 12 of these are restocking now! The Seasonal Pearl has also been retired and replaced at the Account Upgrades page with this pair of Female Suede Boots. The King is dead! Long live the new King! We regret to inform you that our beloved King, the renowned Baspinar XII has perished. The castle was in mourning last night after genetic testing was completed by the Enpiah DNA laboratory proving that the remains that people have been fishing out of the Maradan river did in fact belong to our missing King Baspinar XII and not his great great multi-great grandfather Baspinar I as was formerly believed. News has reached us that the new King, Baspinar XIII was immediately crowned during the night in an emergency ceremony at the castle. Not wanting to delay in these worrying times the normal public ceremonies and celebrations were set aside in order that Marada should once again have a King to protect us. As I'm sure every Maradan is aware, Baspinar XIII is the (rather unfortunately uglier) identical twin brother of our former handsome king the late Baspinar XII. Born just nineteen seconds later than his brother, he was natuarally next in line for the throne. My fellow Maradans, I bring to you this morning the sad news of my brother's death. He is believed to have met his end at the hands of evil minions of the false Queen Eleka. This dreadful witch is sure to bring nothing but harm to our peaceful kingdom, and we do not recognise any claim by her to the Southern lands! The question now remains as to what shall be done about this threat to Marada. As I believe in modern methods, and fairness for all our subjects, I have decided that the question of action against this traitorous interloper should be handled by the Maradan parliament rather than by myself. All Maradans are therefore called immediately to vote at the castle in a special referendum on the subject of war! You can now vote in the Election inside the castle for what should happen next. There is a new Editorial for you to read. We have started to send out the Email Newsletter. Please note that the vault will be activated in a few days, when most emails have been sent out so that its fair to everyone. The Lottery has been drawn for this week. oxchelsiexo is the winner of the 378,400MP Jackpot with the winning numbers of 5, 4, 13, 7, 2 and 8! Congratulations! Last Week's Raffle has now ended. RachelBachel is the winner of the Red DNA and 100,000MP prize with the winning raffle ticket number 27237! Congratulations! Make sure you buy your tickets for today's raffle - only 10MP per ticket!